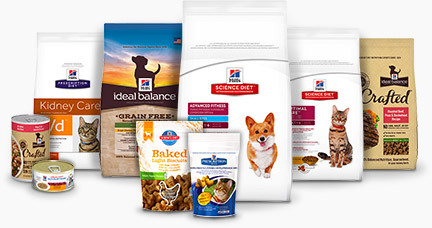 For your convenience, we offer online ordering of the full line of Hills pet foods. This includes their prescription diets, Science Diet, Ideal Balance, and Healthy Advantage wellness diets. Free shipping is included with no minimum order and autoship orders qualify for additional discounts! Online ordering is convenient - get Hills food delivered right to your door! To access food ordering, we must enroll you in the program. You must be an established client to be enrolled. To request enrollment, please complete the form here. You will receive a confirmation e-mail with additional instructions within 48 hours.